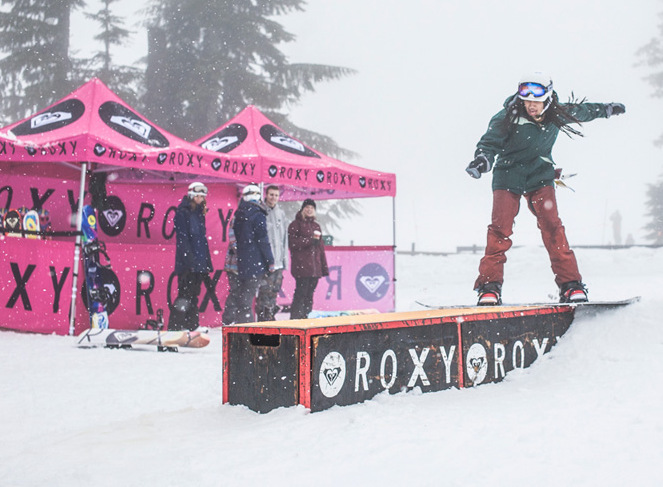 Whether you’re a lifestyle or winter sporting brand, you’re likely going to be hosting, sponsoring or participating in an outdoor event this winter to engage with your audience and promote your brand. 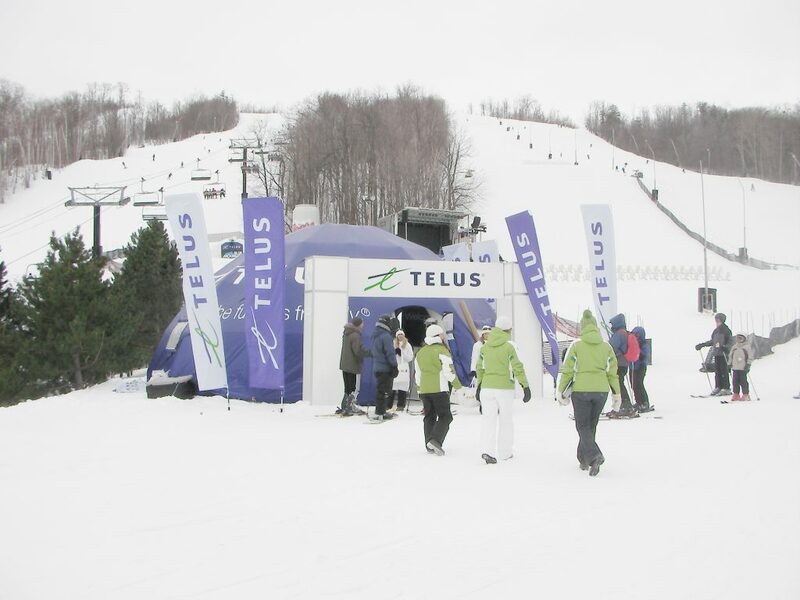 Though planning an outdoor event in the winter is more challenging due to the cold, wind, rain or snow, choosing the right custom-branded outdoor marketing products doesn’t have to be. 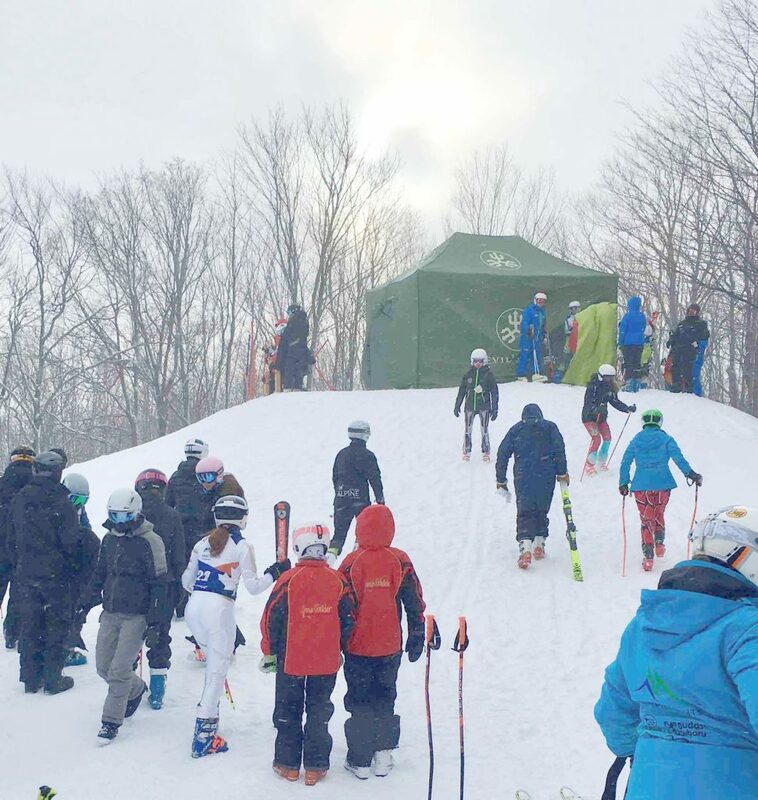 Below, we have compiled a list of 5 things to consider when choosing custom-branded marketing products for outdoor events in the winter. 1- Are they easy to install? 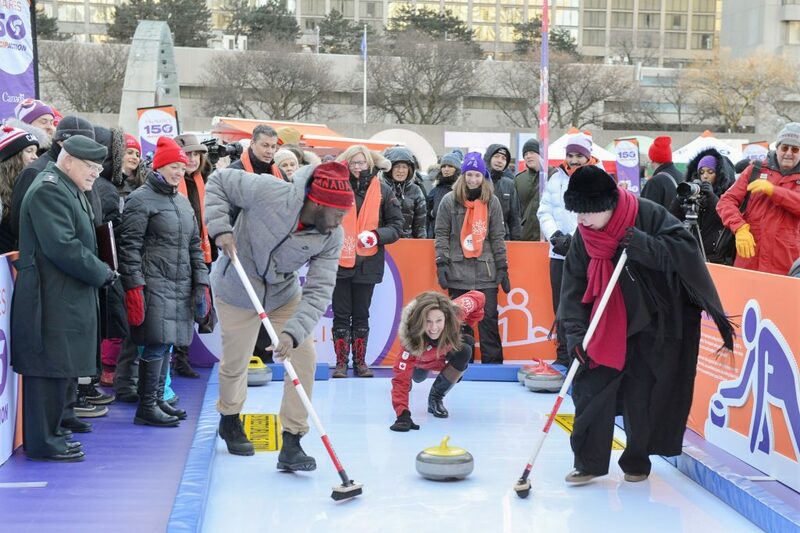 Since the weather will be colder and your team will be dressed accordingly, it is important to consider event marketing products that are quick and easy to set-up and require few, if any, tools. Once set-up, you may need to move your products from one area to another if the weather becomes less favorable or if you’re hosting an event in a different area. Beyond being quick and easy to install, the products must also be lightweight to make that possible. 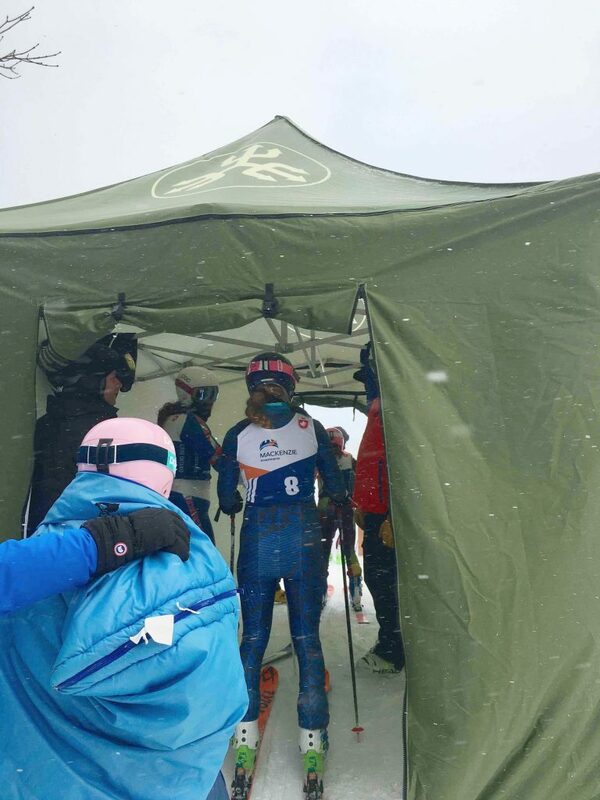 Recently, our Nova Hex Canada Series Tent Frames were used in lieu of permanent ski/snowboard race start huts to allow them to be moved around from race location to another on the hill. 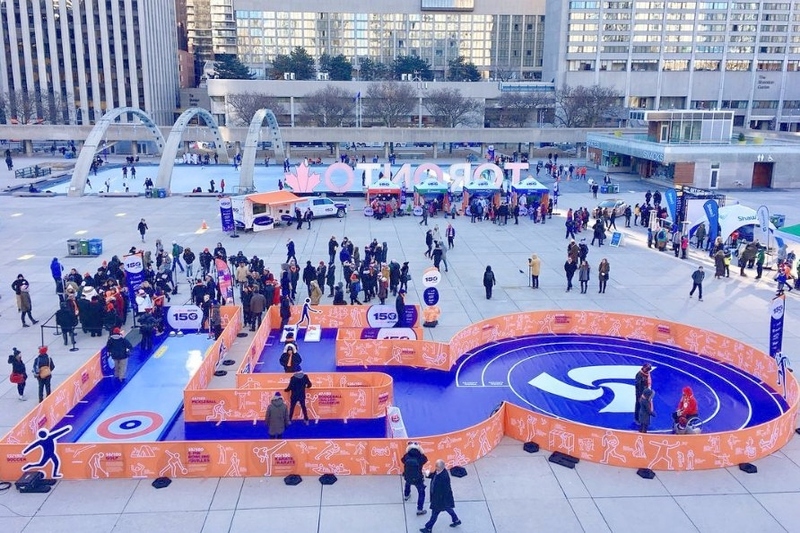 It goes without saying that you will need event marketing products that will be able to withstand wear, pressure and damage from the cold and the wind. What should you look out for then? Well, for starters, you should look for products whose stress points are made of aluminum pieces, rather than plastic ones. Though plastic may be cheaper, in colder months, it tends to become brittle and break. 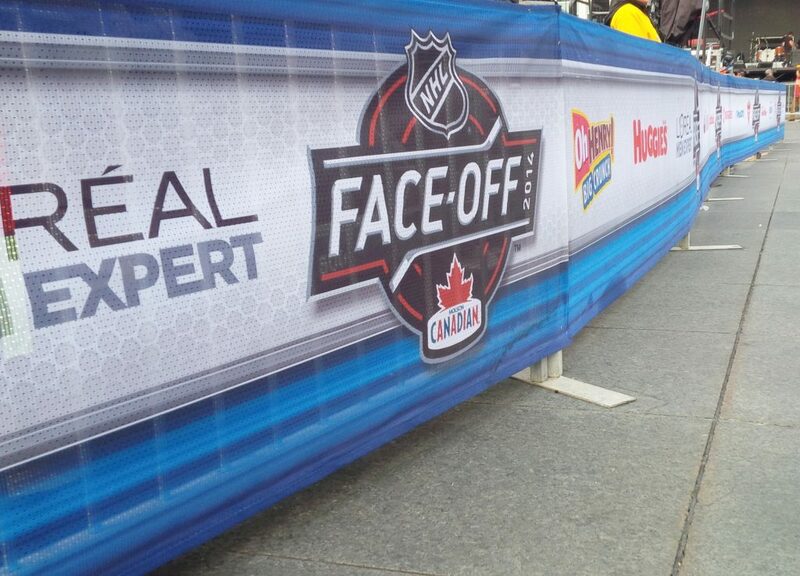 Another tip: instead of vinyl banners, consider fabric ones. While vinyl may appear more durable, in colder weather, it becomes very stiff and therefore more difficult to handle, which increases the chances of it cracking. 4- Could they be further customized? Depending on your event, you may want to further customize your product to meet your exact requirements. 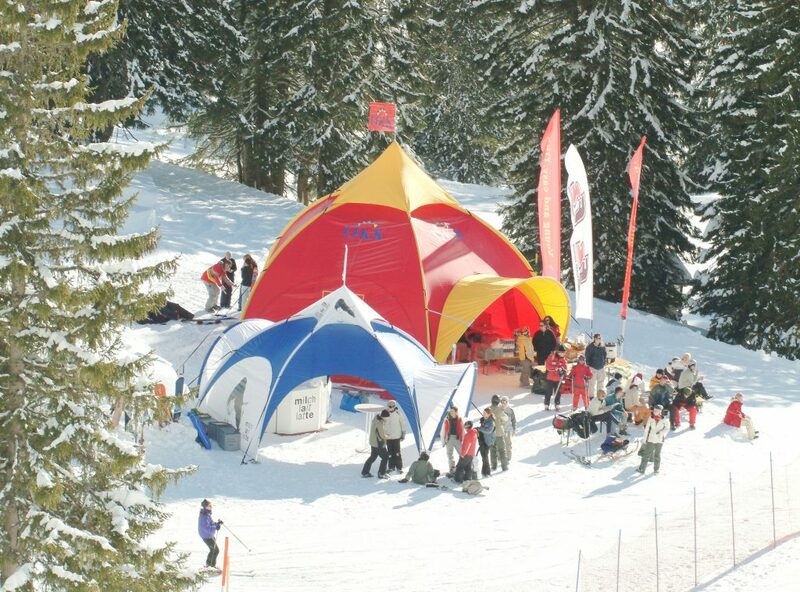 If you’re planning an event in an especially cold climate, you could add side or back walls on your tent, dome or pavilion to offer shelter from the elements. Or, if you would like to increase your visibility, you could add more branding elements, like arches, visors or other made-to-measure pieces. The Nova Hex Canada Series Tent Frame, Super Dome or PNH Air Tent, for instance, are products that could be further customized for either effect. Lastly, it is important to look out for products that meet all the safety standards in the industry. If you will be using fabric near fire, whether as part as a banner, tension fabric display or flag make sure it meets or exceeds the requirements these standards: CPAI-84, NFPA-701 2004/08/05, 1997 Uniform Fire Code (section 1103.3.3.2), 2003 NFPA 1 (section 8.1.2.3.2), 2003 NFPA 101 (section 10.3), 2003 International Fire Code (section 805.1-2), 1999 BOCA Fire Code (section 805.1-2), Ontario Fire Code O. Reg. 388/97 (section 2.3.2.1 and 2.3.2.2) and DIN 4102-B1 (Germany). If you will be using floor graphics, like Self-Adhesive Vinyl Flooring or ShowFloor, outdoors make sure they have an anti-slip treatment or lamination that meets or exceeds the requirements for the Static Coefficient Of Friction Of Flooring Surface Against Standard Leather By The James Machine (ASTM D 2047-2004) and DS class according to EN13893. Products that require ballasting or staking must also use snow-specific stakes, in addition to weights. The right custom-branded marketing products for outdoor events work FOR your brand, rather than AGAINST it. To avoid bad surprises, strive for well-designed, quality products, always. To learn more, contact us today, by clicking here.